Social events in the club are many and varied – see below for general details, and check the calendar or the "upcoming socials" box on the right panel of the website for the specifics. The most regular and straightforward way to meet hillwalkers is at the pub! 52 weeks a year (pretty much), Wednesday evening will find some hillwalkers in a Cambridge pub wishing they were in the hills. Come along to meet club members and chat about upcoming trips. 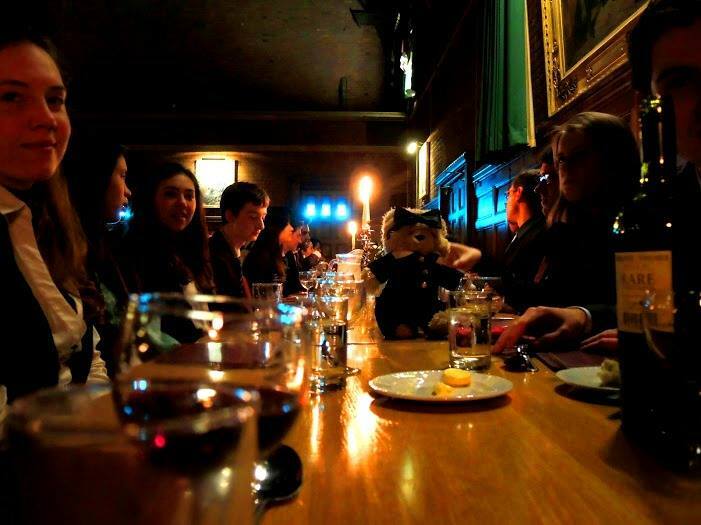 During term, we’ll be in the Castle Inn on Castle Street from 20.30 until closing time. We usually take over a couple of tables upstairs, or can be found outside if it’s nice. There are normally a couple of us wearing club t-shirts and we’ll often have a map or two lying on the table, so we should be easy to spot! If you can't find us, ask one of the staff and they should be able to point you in the right direction. Out of term, we change location (as there are usually fewer people), and we take the opportunity to explore the pubs of Cambridge (some might call it pub bagging!) and sometimes meet earlier for food. Details are finalised on the discuss list (see FAQs), and will also be posted on the website – though they often aren’t decided until Thursday itself. Before Michaelmas ends, we have a very relaxed Christmas dinner in a curry place, and in recent years we've often gone to the Tandoori Palace. In addition, this often includes 'Secret Santa', where the Social Secretary will secretly give you the name of someone for whom you'll buy a small present in advance, and somebody else will be given your name in return. When presents are opened after dinner, finding out who was your Secret Santa might not be a piece of cake... but it's always great fun! 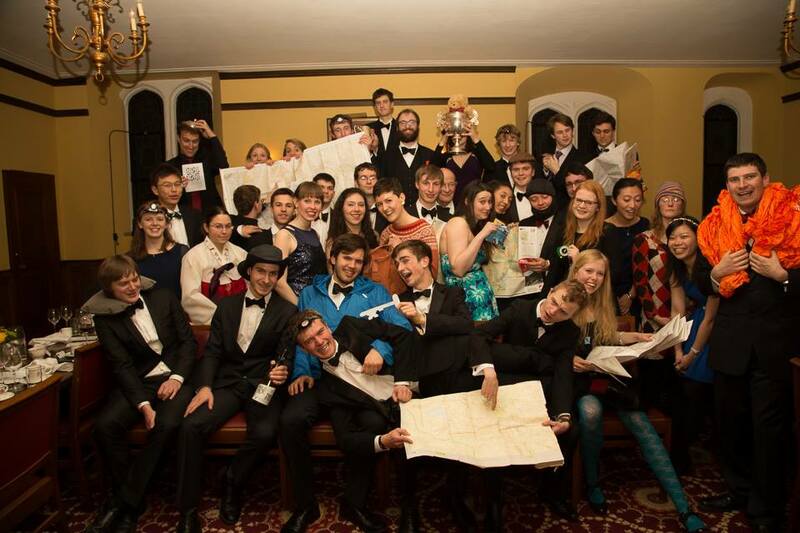 Normally held in February, this is about the only time you’ll see hillwalkers in black tie! Recent venues have included Pembroke College (2016), St. John's College (2015), the Punter (2013), and Jesus College (2012). In a good year, the party continues well into the early hours, typically at the Maypole. Classic May Week activities, with a hillwalking twist! 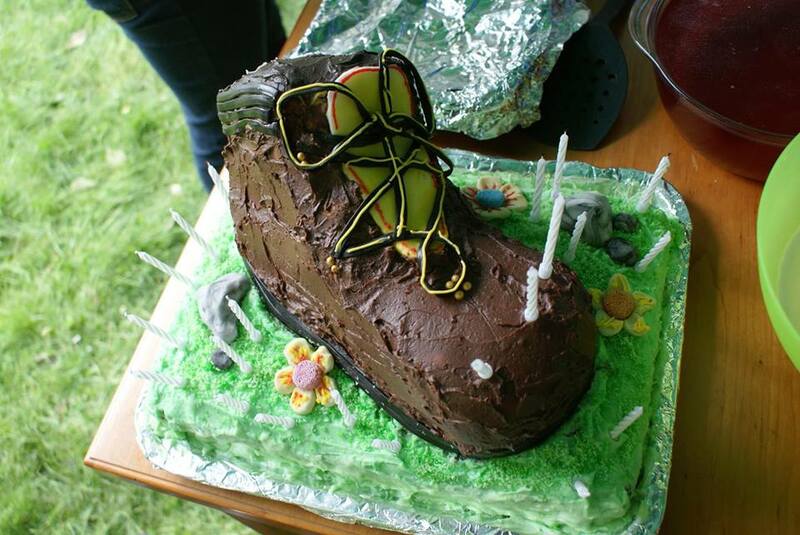 The Garden Party often involves an extravagantly decorated cake (creations have included a cow, a scale model of the Snowdon Horseshoe, and a minibus), as well as vast quantities of food and drink. 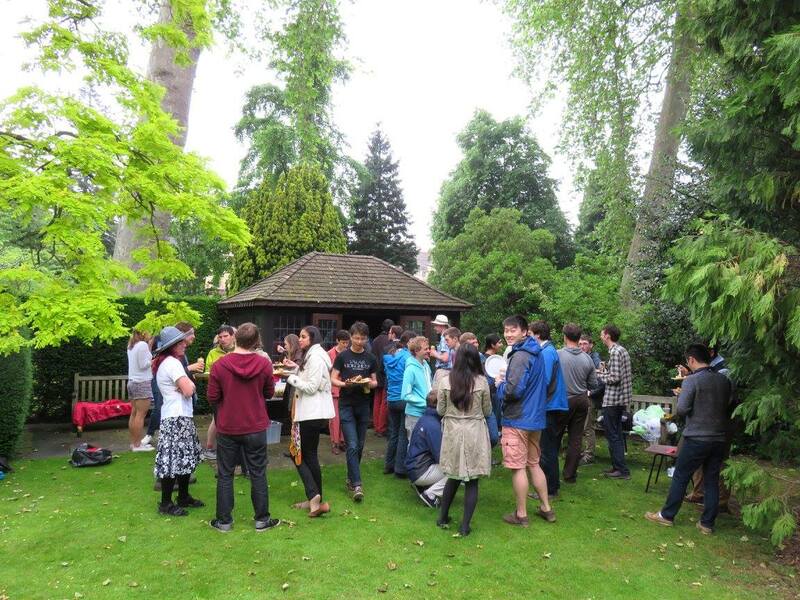 In the evening, we reconvene to punt (or swim/canoe/cycle/walk) up to Grantchester for a barbecue — a great way to end the academic year. We usually organise two or three official formals a term, which are always very popular. Details and how to sign up are emailed to the main mailing list. 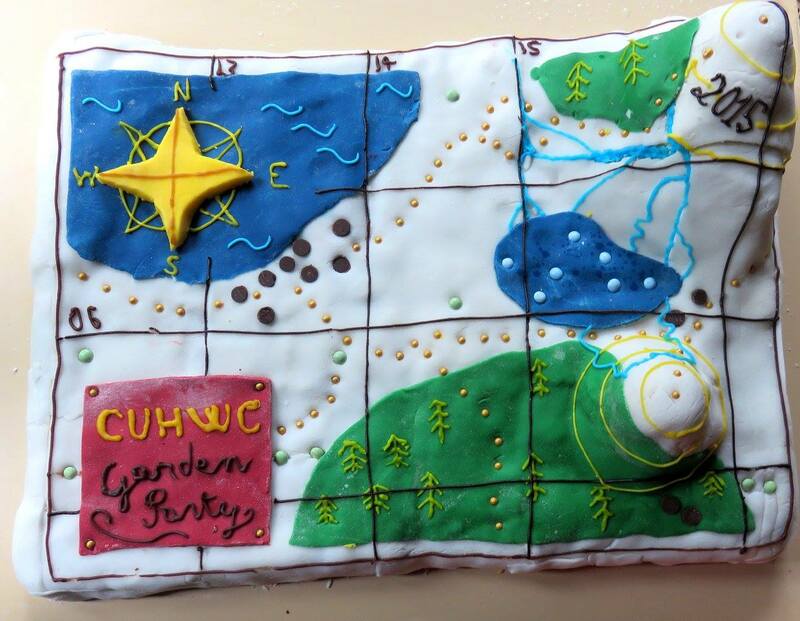 We typically organise one or two swaps a year with other outdoor clubs (past swaps were organised with the CU Expedition Society, the CU Mountaineering and the CU Canoe Clubs). 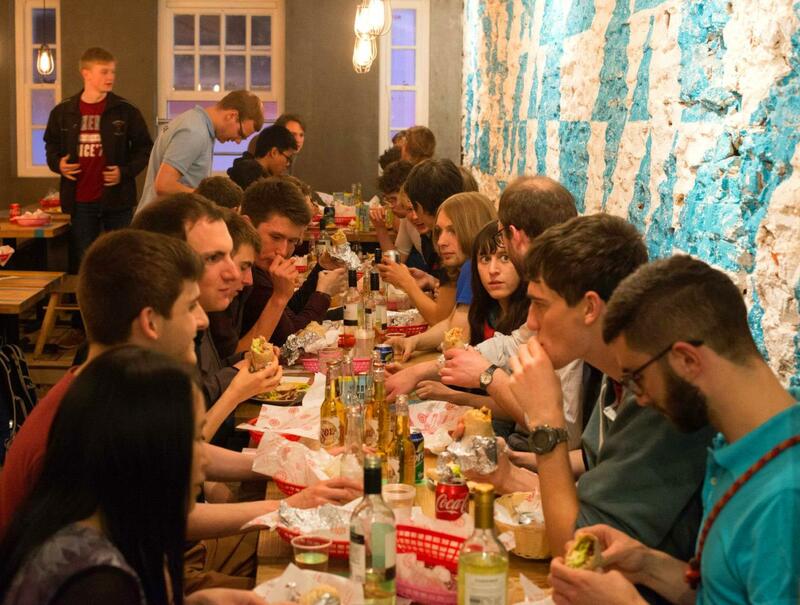 They include pre-drinks in a pub, an Indian curry or a Mexican burrito, and post-drinks in a College bar with games. They are very popular as they are an excellent opportunity to meet other like-minded people beyond the Club's social circle. Post-meal shenanigans include table bouldering! Film night, starting the evening with wine and chesse and then watching adventurous films in good hillwalking company, usually featuring mountains of course! Of course, there are also pub lunches, cycle rides, barbecues, music sessions, trips to climbing walls and anything else that our members feel like organising! Last but not least, trips are always an excellent way to get to know hillwalkers better. The club has a tradition of singing on Saturdays after dinner on a week end trip, as you could probably tell from the dedicated song book page. Oh, and another thing that we do is pumpkin carving on the Halloween weekend trip!